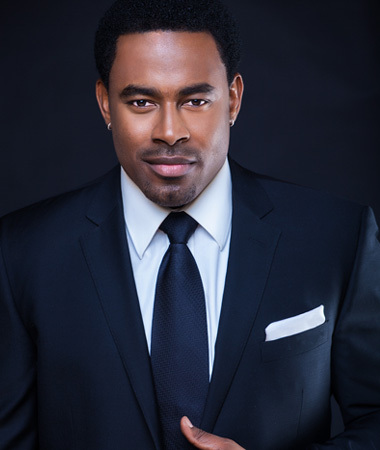 Lamman Rucker is an Actor, Educator, Activist and Entrepreneur. Best known as the handsome star of Tyler Perry’s Why Did I Get Married film sequels and hit film/sitcom Meet The Browns; Rucker is maintaining a powerful presence on large and small screens. He may be recognized from recent films such as BET’s The Man in 3B and Black Coffee, UPtv’s Where is The Love or remembered on TV shows such as Half and Half, WEtv’s South of Hell, As The World Turns and All My Children. Lamman has also been a memorable guest star on Law & Order, All Of Us and the popular television movie mini-series The Temptations and more. Rucker stars in the upcoming original TV drama series Greenleaf on OWN featuring Oprah Winfrey and a star-studded cast (June 21) and returns to the big screen in feature films Service to Man; a period film about race relations in the South at Meharry Medical College as well as bestselling author Carl Weber’s thriller No More Mr. Nice Guy (Fall 2016). A passionate activist; Rucker is a spokesperson for several charitable efforts and community action initiatives including American Heart Association, Art Creates Life, The Black AIDS Institute, BMe, The Magic Johnson Foundation and his non-profit The Black Gents; an all male ensemble of actors driven to resurrect the positive images of black males through thought-provoking high quality entertainment, youth empowerment initiatives and community service. He is also an active ambassador for several other grassroots organizations leading the way in uplifting communities. Today’s Renaissance Man; Rucker is establishing a significant legacy for this generation and those to come.